Metro has awarded a $151.1 million contract for the replacement or modernization of 128 of the system’s 588 escalators by 2020 — a key part of General Manager Richard Sarles’ multi-year capital rebuilding effort known as Metro Forward. The contract was awarded to KONE Corporation through a “best value” procurement that allowed Metro to consider factors other than price, including technical excellence and past performance. Under the contract, up to 128 escalators will be replaced. However, 20 units may not qualify for replacement because current escalator code requires that replacement escalators be covered from precipitation. There are several stations where Metro may not be permitted to install canopies, such as Archives and Smithsonian stations. All of the new escalators will meet the new American Public Transit Association escalator standards for use in a demanding, high-volume transit environment. A total of 88 escalators will be replaced by 2018, with an additional 40 units scheduled for 2019 and 2020. Metro has already completed the system’s first two major escalator replacement projects — at Foggy Bottom and Dupont Circle. At Foggy Bottom, Metro installed three new entrance escalators, added a staircase and installed a new canopy to protect the investment. At Dupont Circle, the notoriously unreliable escalators at the south entrance were fully replaced last year over a nine-month period. The next escalator replacement project will begin in less than a month at Pentagon Station, where three of the station’s six entrance escalators will be replaced. The nine new escalators at Pentagon, Foggy Bottom and Dupont Circle are in addition to the 128 escalators involved in today’s award. Metro’s escalator reliability improved in 2012 as a result of better preventive maintenance and recent replacement and rehabilitation projects. Escalator availability was up seven percent in the most recent quarter for which data is available (July through September 2012) as compared to the same period the previous year. 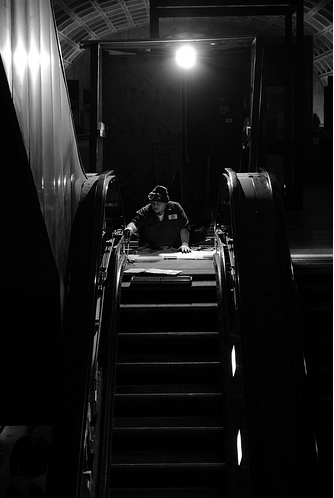 In addition, fewer escalators went out of service unexpectedly during the quarter (down 14 percent) and repairs were less time intensive, indicating that the underlying health of Metro’s escalators is improving.